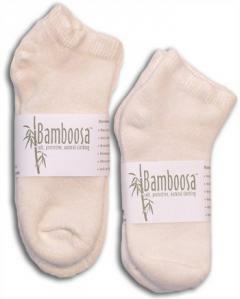 Keep your feet dry and cool in our new bamboo socks!! Constructed of 85% bamboo viscose and 15% nylon for comfort. Super absorbent and soft, try these socks for working out, running or just to keep your feet warm. Made in the USA.